Many successful Marriage and Family Therapists (MFTs) maintain websites for their practices to find new clients and participate in the increasingly active community of MFTs online and on social media. These sites represent therapists, practices, and publications related to all aspects of this quickly developing field. 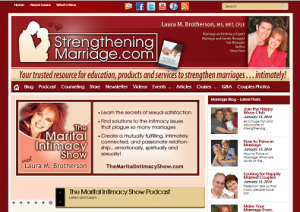 Strengthening Marriage is Laura Brotherson’s practice, and her calling. She is an MFT and respected author of books and counseling materials for couples who are having difficulty maintaining intimacy and love in their marriages. 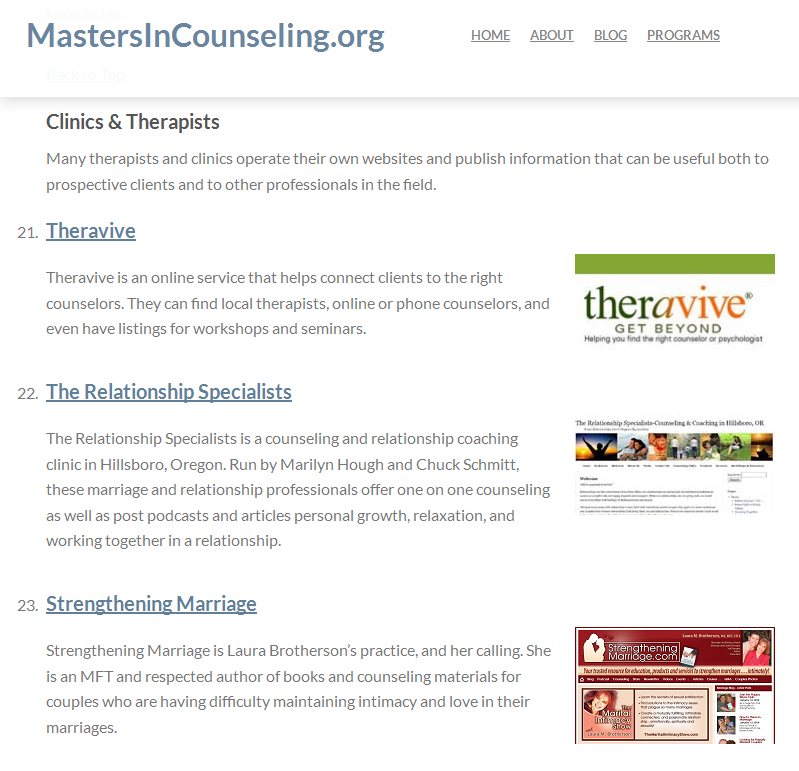 You can check out all the other great sites included in this list at MastersInCounseling.org.